Bitter or Better, Gratitude is a choice! 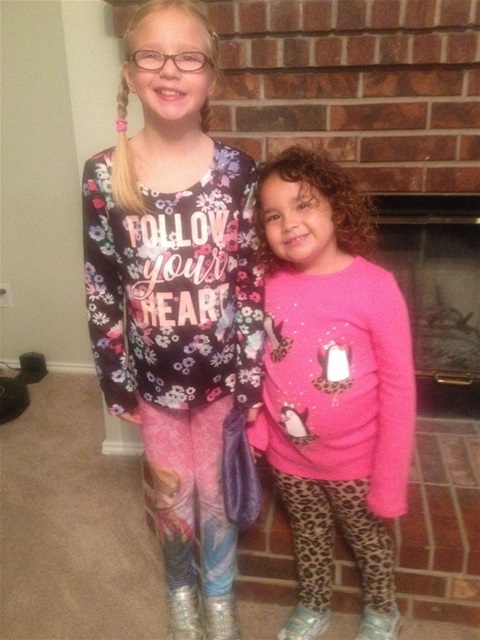 As you may recall, dear Tablespoon of Love Web Log friends, our two Texas granddaughters, Jessie & Emily, attend Wally W. Watkins Elementary School in Wylie, Texas. 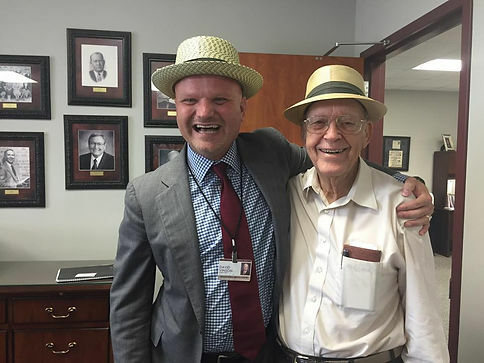 Dr. David Vinson, Superintendent of Schools in Wylie, posted the following on his personal Web Log and gave me permission to share it... it's so uplifting, encouraging, positive and filled with gratitude that you had to see it, too! Enjoy! And think about what makes you overflow with gratitude...for me, it's my precious best friend and spouse, John, and all our family, for the sure knowledge that God loves me, for flowers and neighbors, for the home we love, for friends, for fairly good health, and for all of you out there! Raymond Cooper of Wylie, Texas, embodies what it means to be a success. He has a great family, an incredible financial portfolio, entrepreneurial accomplishments, and the reputation of being a trusted advisor to many important people—in addition to being the namesake of his own junior high school. Mr. Cooper’s life tells a story of grit. He grew up poor, lost his father at the early age of three, and found his way by learning from his incredibly strong mother. Through strength, hard work, and tenacity, Mr. Cooper founded the Universal Transformer Company, a sixty-year-old business that still thrives today. 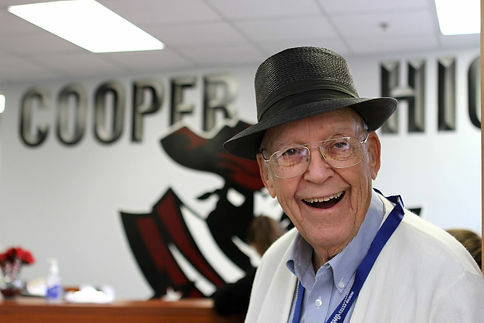 Dr. Shawn Miller, principal of Cooper Junior High School, grew up very similar to the namesake of his campus. Raised in poverty by his grandmother in Mason, Texas, Dr. Miller did not have a present mother or father. As one of the older siblings, it was his job to help raise his brothers, sisters, and himself. From what I know of his grandmother, she instilled in him the values of hope, grit, and gratitude. Struggle affects people in different ways. Some distance themselves from the past they once knew and work to pretend that strife never happened. Mr. Cooper, though, is different. He dedicated the second half of his life to helping those who found themselves experiencing the same struggles he experienced. Grateful for those who helped him, he donated land and organized volunteers to construct our local food pantry, the Wylie Christian Care Center. 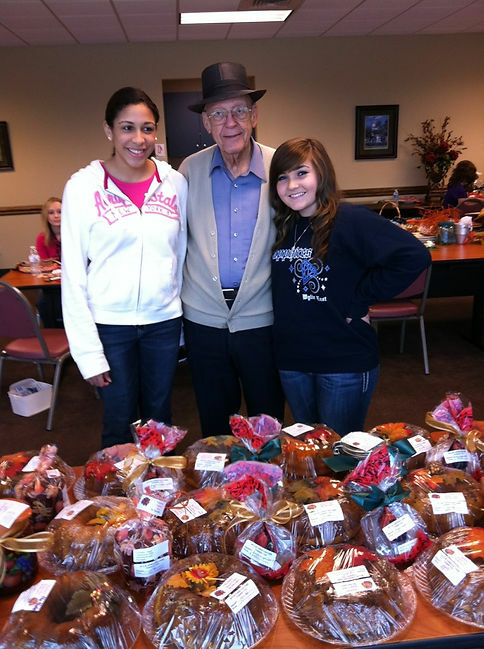 Over the years, the center has helped thousands of families in the surrounding area with food, clothing, and utility assistance. Many lives have changed for the better. Struggle shaped Dr. Miller in a big way, too. 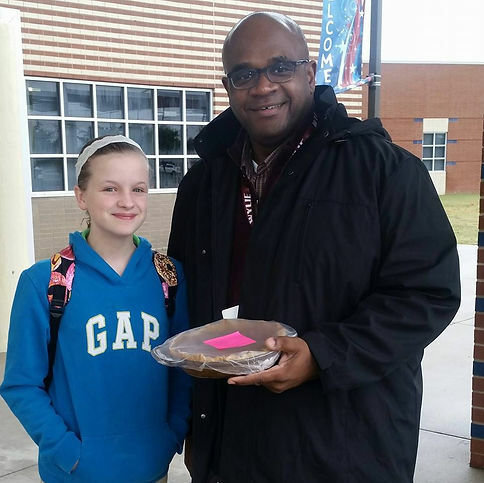 Reaching the goal of principal and earning his Ph.D. are testaments to his grit. His gratitude manifests towards his family and the paternal role of dad to his siblings who he gladly and lovingly helped to grow into positive and productive citizens. He devotes that same love and care to the kids of Cooper Junior High. He creates a place of hope. Gratitude is a choice. 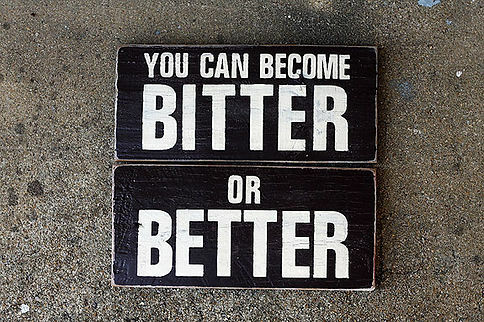 A friend of mine, Kris Segrest, says that people get either “bitter or better” when faced with challenges. Each individual chooses a path—fight or flight. Raymond Cooper and Shawn Miller’s challenges shaped them in ways that positively influenced not only their lives but also their families and community members. Their journeys made them stronger. They are grateful for what they have, but they are also grateful for the experiences that molded their lives. Today in Wylie ISD, we celebrate the value of GRATITUDE. Gratitude makes a big impact on our own lives, and potentially the lives of others. Mr. Cooper and Dr. Miller are both representations of this belief. Are you grateful? If so, how would others know? Do you send cards, make phone calls, raise your brothers and sisters, or build food pantries for your community? At some time today, please take a moment to recognize that your struggles make you stronger. People care about you, and you make a difference in the world. We are in this thing together. Through it all, our gratitude makes us better, not bitter. I am grateful for Mr. Cooper, I am grateful for Dr. Miller, I am grateful for you! I look forward to hearing more about the gratitude that you possess. Gratitude. It’s the Wylie Way!